Vintage gold lockets under $150. I’ve been seeing vintage-style gold lockets popping up for sale in mid-range fashion lines recently. I totally get it, they’re lovely and romantic. I certainty have nothing against a nice vintage-inspired piece, but I generally think it’s more fun to go authentic when it’s doable. 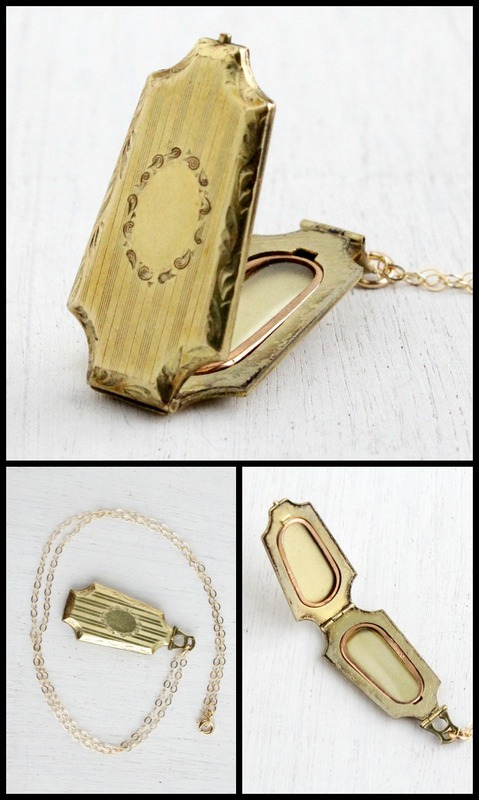 Without further ado, here are some gorgeous vintage gold lockets currently for sale on the bling-ey internet. 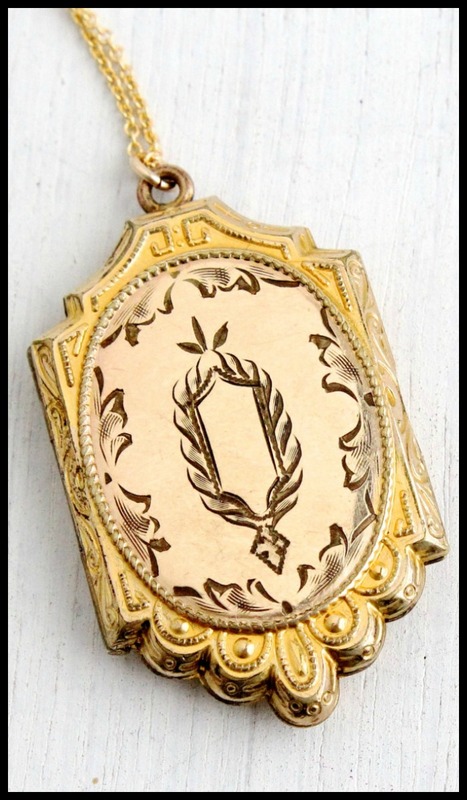 Antique Victorian or Edwardian gold locket with scrolling bail and embossed front (I adore this one). Vintage gold locket from the 1950’s or 60’s with a rhinestone star design. Another starry beauty: this antique gold locket has a more complex star-like pattern that I find it hard to look away from. It’s older, Victorian or Edwardian. Early 1900s square locket necklace with engraving and “WW” monogram. Linear Art Deco floral embossed locket from the 1930’s – what a cool shape! 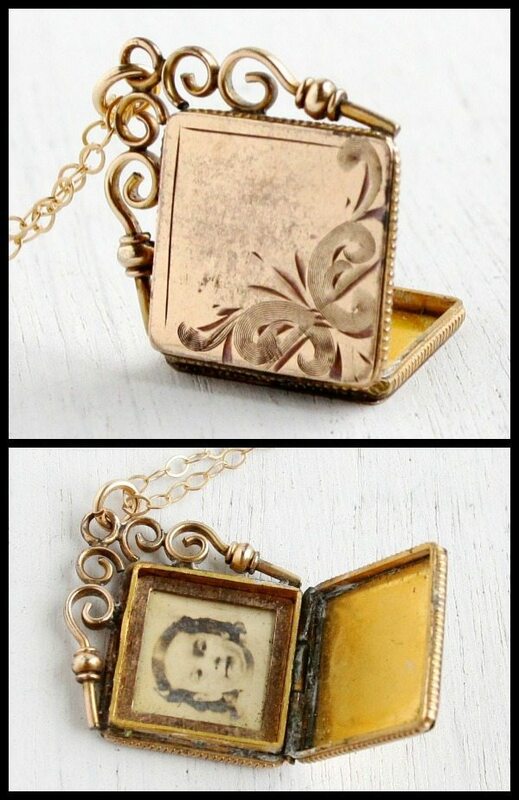 Vintage gold locket from the 1940’s with floral engraving and original black and white photo. 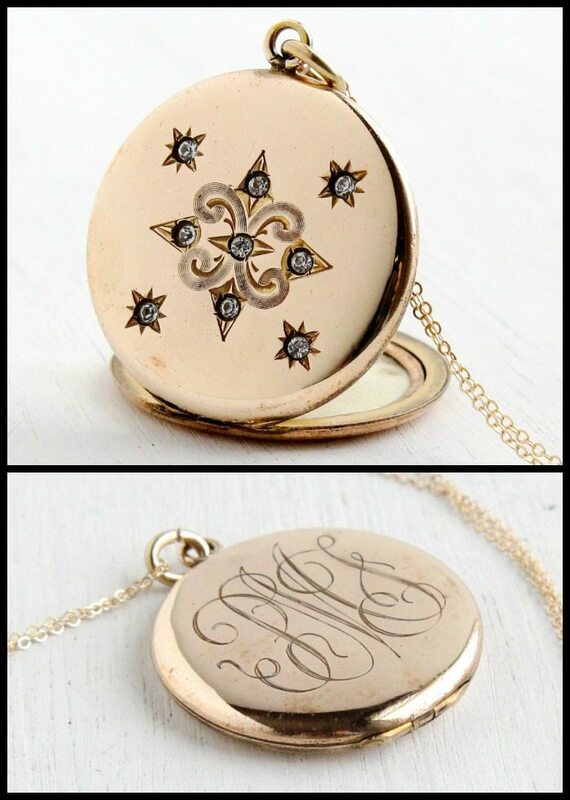 Embossed Edwardian locket from the early 1900’s – how much do you love the shape of this one? Just to be clear: at this price range, the pieces aren’t going to be solid gold. They’re all goldtone; gold-filled, gold-plated, or made of other gold colored materials. Still lovely! 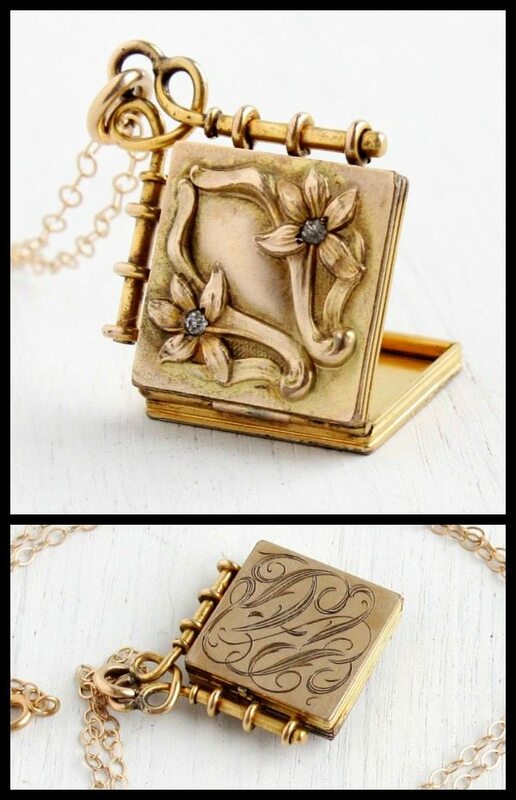 These antique and vintage gold lockets are all currently for sale at Maejean Vintage. I didn’t set out to feature pieces just from one store, but Maejean had so many perfect pieces that I just couldn’t help myself. All images and info are thanks to Maejean Vintage.